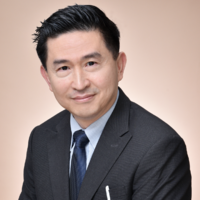 Dr. Eng Lim Goh is HPE vice president and chief technology officer for high performance computing and artificial intelligence, and as such, leads the development of the next generation computer architecture. His current research interest is in the progression from data intensive computing to analytics, inductive machine learning, deductive reasoning and artificial specific to general intelligence, human perception for user interfaces and virtual and augmented reality. In collaboration with NASA he is currently principal investigator of a year-long experiment, aboard the ISS to operate high performance computers for long duration space travel. In 2005, InfoWorld named Dr. Goh one of the World's 25 Most Influential CTOs. He was included twice in the HPCwire list of "People to Watch"; 2005 and 2015. He co-presented with NASA at the inaugural 1st plenary of the Supercomputing 2014 Conference to an audience of 2,500. Before joining SGI, Dr. Goh worked for Intergraph Systems, Schlumberger Wireline and Shell Research. A Shell Cambridge University Scholar, Dr. Goh completed his PhD research and dissertation on parallel architectures and computer graphics.